If you're looking to enjoy a wonderful trip to NY, without leaving your pet stranded at home, browse through our great list of pet-friendly hotels in New York--all of which your dog or cat are guaranteed to enjoy! For the best pet friendly-hotels NY has to offer, explore our detailed and comprehensive guide. Make your Pet's Stay a Luxurious One! One of the nicest pet-friendly hotels in NY, The Benjamin believes that pets are family too and that they don't deserve to be left behind. The hotel doesn't enforce weight limits and guests aren't charged an extra fee, as long as no damage is made to the room. 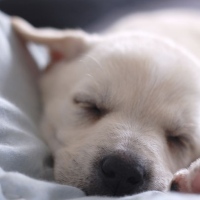 Make your pet's stay an absolutely luxurious one with the hotel's "Dream Dog" program. Included in the program are grooming services, lush bathrobes, and consultations with a pet psychic. Sofa beds are available to small dogs, as well as orthopaedic beds for small and medium-sized dogs and luxe beds for large dogs. Additional pet amenities include ceramic food and water bowls, a complimentary treat, extra sheets, sidewalk bags, and toys. You deserve a day off from all forms of stresses in life and having your beloved pet with you will be a good idea. However there are only a few pet-friendly hotels in NY. The Muse is one of the few impressively pet-friendly hotels in NY, having hosted everything from snakes to penguins to dogs and even to a beloved babe (a pig)! Ginger, a teacup Pomeranian, serves as the "Director of Pet Relations," a companion to one of the hotel staff members. On most days, Ginger can be found hanging out on her leopard-print bed near the concierge. She has even done the morning-show circuit, most recently on the Today show for a segment about pet-friendly hotels. The hotel has a Pampered Pooch and a Hers and Furs package, starting at $229, which provides in-room pedicures for a guest and her dog. Pets also receive a special welcome package upon arrival, with food and treats for both the dogs and their human companions. 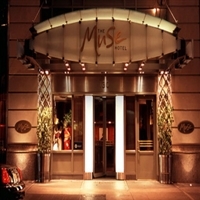 There is no surcharge to bring a pet to the Muse, though the hotel limits guests to two pets per room. Dog-walking, sitting, grooming, and food delivery can all be arranged for an extra charge. Wouldn’t you agree that this would be the best place for you and your lovely pet?